She admits that despite loving her time with the actor, she found it challenging to become famous by default during their time together. 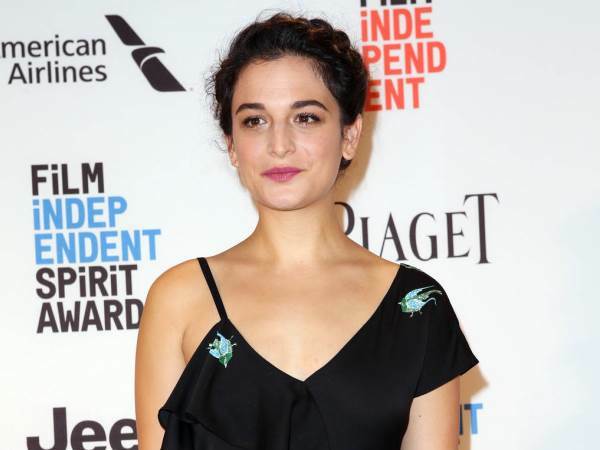 Jenny Slate struggled with media scrutiny during her short-lived relationship with Chris Evans. The Obvious Child actress started dating the Captain America star in mid-2016, shortly after she announced her separation from her filmmaker husband of nearly four years, Dean Fleischer-Camp. Jenny and Chris parted ways in February, and the 34-year-old admits that despite loving her time with the actor, she found it challenging to become famous by default during their time together. "Chris is a very, very famous person," she told Vulture. "The stress that I saw him be put under, I've never seen that before, and he handled that really gracefully." Jenny added that eventually she realised that Chris wasn't concerned by the attention, but it was her who had become "stressed" out, noting random women would often approach to ask her "'Oh my God is that Chris Evans? He's so hot!'" Both stars were raised in neighbouring cities in Massachusetts, but hadn't met prior to co-starring in the upcoming movie Gifted, in which Chris plays a single man raising his child prodigy niece Mary, who is drawn into a custody battle with his mother. Jenny didn't foresee a relationship with the 35-year-old, who has dated actresses Minka Kelly and Jessica Biel but even as their relationship blossomed, the comic star found it hard to believe he wanted to date her. "Eventually, when it was like, Oh, you have these feelings for me? I was looking around like, Is this a prank? I mean, I understand why I think I'm beautiful, but if you've had a certain lifestyle and I'm a very, very different type of person - I don't want to be an experiment," she said. Following her breakup with Chris, Jenny admits she went through an emotional time, and watched Meg Ryan and Tom Hanks' 1998 classic movie, You've Got Mail, many times. But in spite of her turmoil, Jenny insists she still thinks her former beau is a "lovely guy", and they will be fine to promote Gifted together. "I feel pretty relaxed about it right now," she said of the Gifted press tour. "That's because I know Chris and he's a very nice man. And we've gone into our separate lives. But that doesn't also mean that I'm going to sleep well the night before, you know?" I'm a 54 year old man looking to meet women between the ages of 40 and 55.